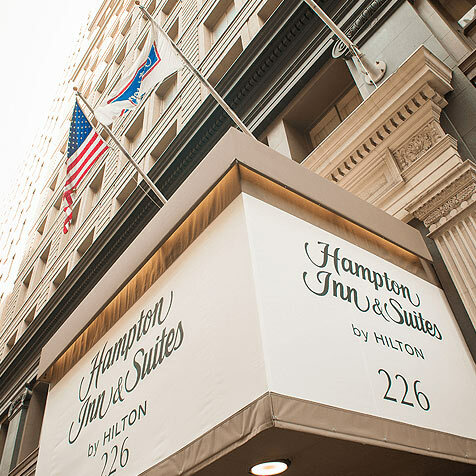 The Hampton Inn Hotels and Suites of New Orleans are within walking distance of the area’s most celebrated entertainment, cuisine, landmarks and attractions. You’ll also discover contemporary convenience with refrigerators and microwaves in each room, free hot breakfasts, free Wi-Fi, and business centers. Experience the round-the-clock excitement, historic charm, and warm hospitality of the Big Easy! Planning a wedding in New Orleans? Learn More. Convenient luxury in the vibrant Arts & Warehouse District. Ideally located for your French Quarter adventures. Peaceful and convenient location in the enchanting Garden District. The perfect location for an extended stay in New Orleans. It's your big day. We get it. We know all there is to know about making your wedding day truly unforgettable. Center your Big Easy adventure at Hampton Inn Hotels & Suites and enjoy top facilities, a wealth of modern amenities at our premium New Orleans hotels.